Cultural activities within the ghettos of Poland, and in the concentration camps, also constituted an important element of the continued Jewish affirmation of life . Orchestras were active in the Vilna and Warsaw ghettos and elsewhere. YIKOR (Jewish Culture Organization) was an illegal group founded in December 1941 in the Warsaw ghetto. It maintained an underground library, held concerts and lectures, and supported the underground schools. Study circles, cabarets, musical and theater performances, and poetry recited from memory all served to preserve Jewish morale. In the concentration camp of Theresienstadt in Czechoslovakia, female inmates created a cookbook with recipes recorded from memory. One of the most important acts of cultural resistance within the ghettos was the effort to document Nazi inhumanity and to preserve the history of daily life within the ghettos for future generations. 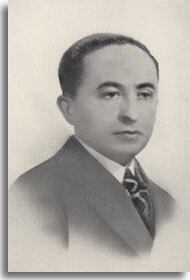 The Oneg Shabbat (Joy of Sabbath) archive in the Warsaw ghetto was founded by Emmanuel Ringelblum, the young historian who was head of Zetos. He persuaded writers, journalists, sociologists, rabbis, and others to contribute to the documentation effort. Doctors studied medical problems within the ghetto, others reported on culture and education, as well as life in the work camps and in other ghettos. The materials collected in the archive were packed and hidden in milk cans which were then buried in the ghetto; they were recovered following the war. Ringelblum, who was murdered in March 1944 after he was found in hiding, also kept a diary of his experiences during the war. Many Jews wrote diaries during the war, and although most were lost, those that survived, as did Herman Kruk's chronicle of the Vilna Ghetto, provide some of the only firsthand testimony of what Jews endured in the ghettoes during the war. Those who believed that the Nazi persecution of the Jews would be over in a matter of time sparked the effort to preserve morale and improve Jewish life in the ghettos. Until the Nazis could be defeated, however, they believed it was of the utmost importance that Jewish morale be lifted and that Jews should care for one another as best they could. The secrecy with which the Nazi regime decided upon its plan for the mass murder of European Jewry meant that most of those Polish Jews isolated in ghettos could not have known what deportation for "resettlement" or "hard labor" actually meant. Nevertheless, Jewish ghetto leaders believed that the longer Jews could continue to survive within the ghettos, the better chance they had of preserving a maximum number of Jewish lives until the Nazi defeat.